The LAR 648 Conservation Development Design and Implementation Specialization Studio, taught by Assistant Professor Howard Hahn, traveled to California this fall. Read about the experiences Adam Bangerter, 3rd year post-back MLA student, had on the trip. The study site in Novato California, The Golden Gate Bridge, Muir Woods National Monument, The Presidio and Cirssy Fields, Lombard Street, Santa Lucia Preserve in Carmel California, and Stanford University in Palo Alto, California. We were gone for 5 days, from September 5– 9. We started by visiting landscape architecture firms in San Francisco and Sausalito. We spent the evening at the Muir Woods national monument on our way up to Novato. We spent the second day at our project site in Novato, California. 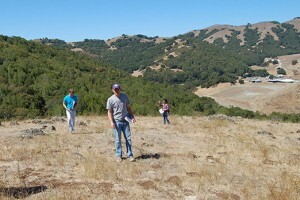 The site is quite large, 867 acres, and it took us the entire day to drive up and down the beautiful hills of Novato. That evening we visited the Golden Gate Bridge and went down to Pier 39. 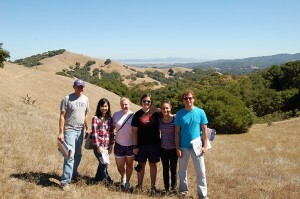 The next day we drove 2 ½ hours south to visit a conservation community, Santa Lucia Preserve, in Carmel, CA. The last day we spent back in San Francisco visiting many of the famous sites in the city. We were able to do a site inventory and analysis for our semester project. In addition we were able to take important site photos that have helped us though the design process. We were also able to tour a conservation community, Santa Lucia, and learn about the process they went through in order to get the project built. In addition to visiting the project site, I most enjoyed visiting the Muir Woods and the Golden Gate Bridge. The Golden Gate Bridge, a feat of human engineering and construction, and Muir Woods a true wonder of nature. Both were very impressive to experience in real life. Did you learn any interesting facts on your trip about the location you visited? Yes. I learned that Novato, and all of northern California really, does not get any precipitation from June to November. The hills go from a vibrant green in the early summer to completely dead and brown until it rains again in the fall. We met the director of public works for the city of San Francisco, Mohammed Nuru, a LA|RCP graduate from K-State. 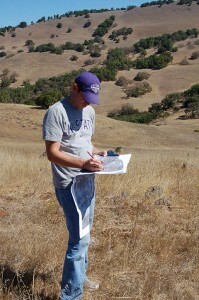 It was interesting to learn how he has used his landscape architecture degree to qualify himself for such a unique job. Meeting and talking with him made me think that landscape architects can be involved in many ways to create great places, and not just the traditional roles of the profession. The site visit was crucial in understanding how to design a community that would fit with the land. We could only understand how to properly design for the land after visiting it. We took tons of pictures that have helped me recall what the site looked and felt like as I have designed. 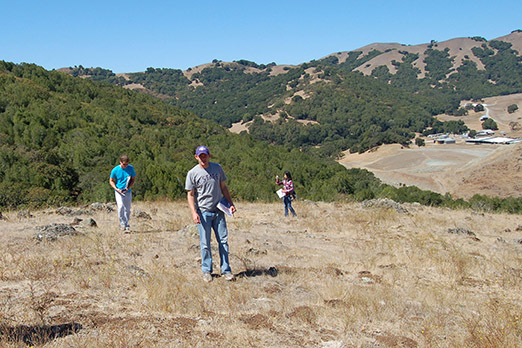 We also had an informative visit with the conservation staff at the Santa Lucia Preserve which helped us understand the complexities of land development in California. Adam Bangerter, a MLA student form American Fork Utah, is most proud of his 4 girls; his wife Lindsey and three daughters: Alina (5), Anna (3), and Page (1). Adam came to Kansas State after getting his undergraduate degree in landscape management at BYU and working for 2 years in Albuquerque New Mexico for a landscape contractor. Adam loves playing and working outside, any sport with a ball, horseback riding, and pretending to be a prince for any one of his princesses. After graduation he plans on returning to Utah to work for a design-build landscape contractor, and one day plans on owning his own company.